ABOUTIntense passion for self-preservation and the belief that each of us has an inalienable right to protect ourselves was the seed that harvested The Ultimate Knife, the best most versatile utility and defense knife on the planet.Our story began when Founder Lad Mandiola, a resilient and naturally inquisitive person, found himself hitting a rough patch in life, and wondering where his next calling would lead him. While searching for his next venture, his natural curiosity led him to conduct rather intense research about economics, world-relations and the future of our planet. This comprehensive research fueled his determination to help people protect themselves with the right knowledge, skills, and tools.He began by providing personal protection products such as home security cameras, green lasers for guns, and proprietary protection flashlights. He knew he needed to provide more, though. 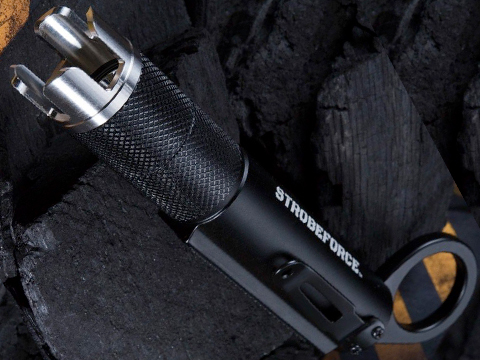 From having such a good connection with his customers, Lad knew some of them lived in states where guns weren't allowed, or they simply weren't comfortable with guns.Logically, he wanted to add knives to the lineup. However, he didn't want to add just any knife. He knew it needed to be something special if it were going to match up with his reputation for bringing unique, high-quality tools at competitive prices.Then a serendipitous encounter at a gun show offered the answer to Lad's search. He noticed a man flipping a folding knife. 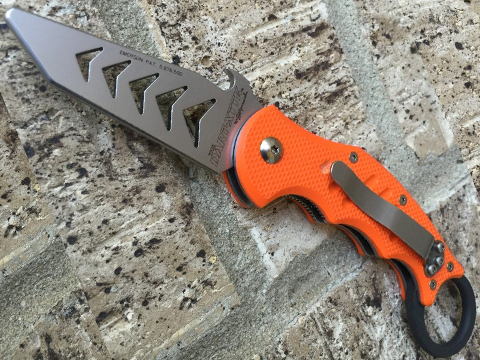 While seeing a knife at a gun show isn't that unusual, there was something different about this knife. 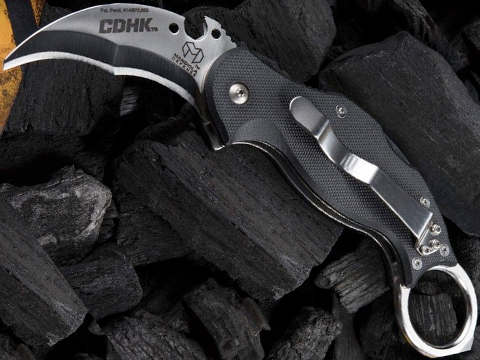 It was a folding Fox Karambit knife with an Emerson Wave Shaped Opening Feature. 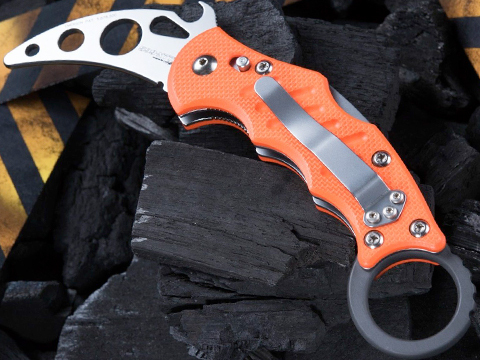 Lad briefly inquired about the wave opening on the knife, and went on his way, letting the information about the knife sink in.After marinating on his thoughts for a few months, he was hungry to learn as much as he could about what made that knife so unique.Research revealed that the word Karambit (also know as kerambit, carambit, kurambik and karambiak) was used to describe the shape of the blade; it indicated that it was a small Southeast Asian curved knife resembling a claw.Lad voraciously continued his research and discovered that this particular Karambit knife was originally developed for the Italian Special Forces. He knew this would make a great addition to the tactical lineup. 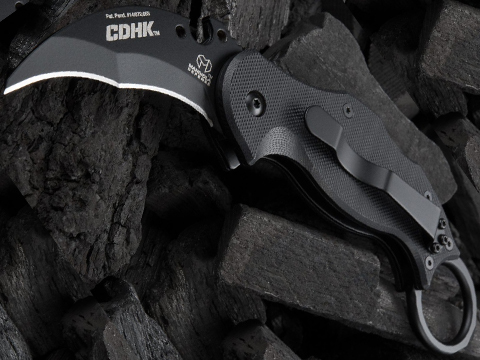 And they did!He became a US provider for the Fox 478 & 479 Karambit Folding Knife and was able to offer a superior tool for a highly competitive price; nearly half the cost of the competition.Over the next year and a half, the popularity of the knives gained tremendous traction. Customers loved the blades. They had one major complaint, though. It didn't fit into everyone's hands. 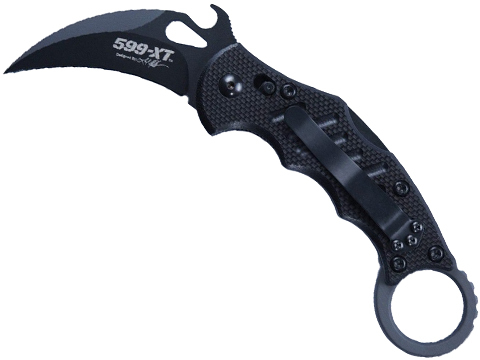 In fact, the Fox 478 & 479 Karambits were too big for 98-99% of the population's hands. They were too large as they were originally designed for use while wearing tactical gloves. So, while customers loved the blades, and the knives were great for the 2% of the population with XXL-sized hands, the fact that the 478 & 479 were too big for most meant they weren't quite what Lad could call The Ultimate Knives. 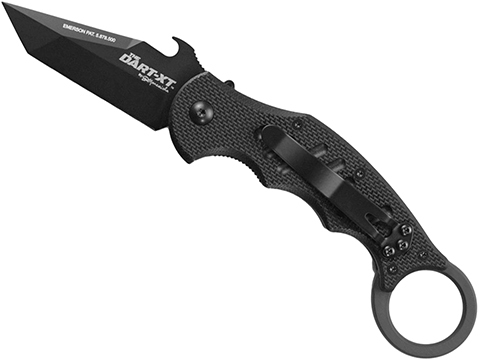 Lad's uncompromising approach to providing the ultimate knife prompted him to act fast. It became his mission to redesign the knife so it would truly be The Ultimate Knife.He pulled upon his background as a graphic designer, and after being granted the design files he needed, Lad redesigned the knife to its beefier yet smaller design. 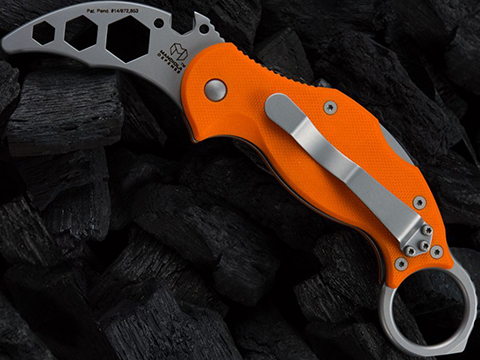 Continuing to use the Emerson Wave Shaped Opening Feature, (Patent #5,878,500) this fresher tactical everyday carry was still able to be opened with one hand when drawn from the pocket while being lighter weight and finally ideally sized for 98% of adult hands.The Italian-made, hand assembled, hand-sharpened, talon-shaped 599 Karambit, and the DART Tanto Karambit knives were born with their accompanying ICD trainers. Soon to follow, were the 599-XT and DART-XT with even more features. 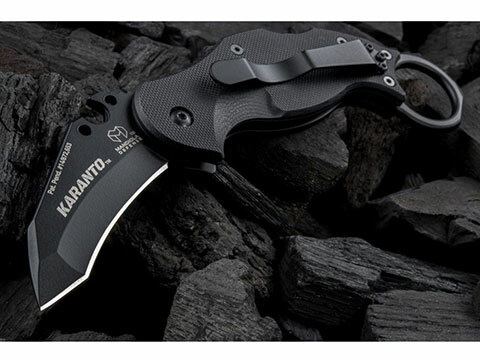 They were truly the ultimate CQC (Close Quarter Combative) knives.